I have fond memories of playing Hunter: The Reckoning with my buddies. Teaming up to take on hoards of monsters and gigantic bosses was always fun, and getting frustrated because another player always ended up dying fairly early in a level was just as commonplace as casting a magic spell. 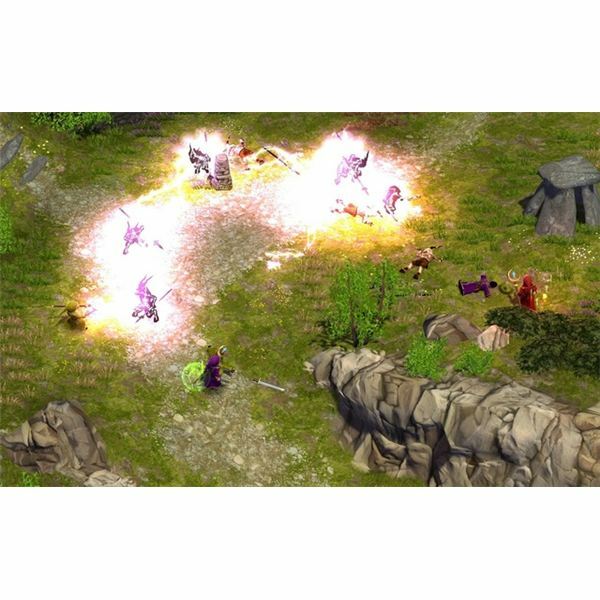 If you’re a fan of games like Hunter: The Reckoning and Gauntlet, chances are you may be interested in Magicka, a hack-and-slash game by developer Arrowhead Game Studios. 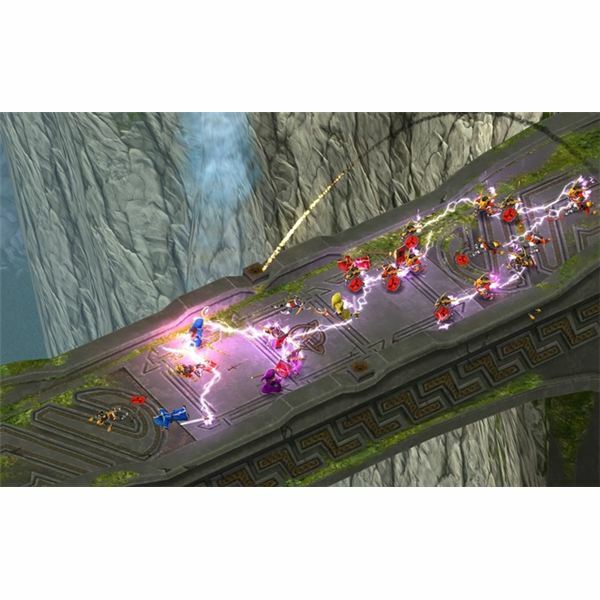 Magicka plays like an isometric action RPG. You run around with a party of characters, take down large groups of enemies, and use magic to aid you. Arrowhead has made it clear that Magicka is meant to play like older games, and although you can play lone wolf-style, the game supports cooperative play for up to four players. The development team has put a lot of emphasis on this aspect of the game, allowing players to team up online or locally on the same computer. Something Arrowhead was quick to point out was the always-on friendly fire mechanic. Battling enemies can get hectic, and if one of your comrades gets in line of fire, he or she will definitely be toast. This adds an extra layer of challenge to the game, and trying to avoid blasting your allies as well as shouting at them to get out of the way are likely to happen a lot. You don’t level up, and all of your stats stay the same throughout the game. Working well alongside others and just getting good at the game are two things you have to master when playing Magicka. Additionally, there are a number of elemental spells in the game that can be used cohesively in order to deliver the hurt to your foes. You can soak your enemies with a water attack, freeze them with an ice attack, then watch them melt as you deliver a devastating fire attack. Combining your powers is a big part of the game, and this puzzle-like aspect will quickly become second nature according to Arrowhead. Magicka certainly poses a very intriguing idea. Though its inspiration lies in titles such as Gauntlet and Diablo, the game purposely strays away from serious or dark tones by including comical characters, quirky dialogue, and a cooperative mode that will have you shouting at your friends and laughing along with them whenever you accidentally kill each other. Arrowhead’s current plans involve releasing Magicka during the first quarter of 2011, with a January release highly likely. This downloadable game will be available for PC, and there are currently talks about bringing it to other platforms. Watch out for it. A collection of articles about Magicka.